The tour was well planned. The tour was well planned. We were able to see a lot in a short time. It might have been nice to take a train as there was a lot of time on the bus. Our guide Robert was beyond excellent. He was knowledgable and patient. Would have liked less time on the bus. so nice letting someone else make the plans. The tour was amazing as was the tour manager. The tour guide was excellent, very knowledgeable, friendly and funny. The tour was excellent saw and learned a lot. There was one flaw however. Either spent more time at Neuschwanstein so you can see the castle from close up or eliminate it all together. The same thing applies to the stay in the black forest. Either have 2 nights or no nights at all. Never had a chance to explore the town we stayed at. I loved the fact that all the details were taken care of by Collette Tours and our tour director and the only thing I had to worry about was being on time to our meeting locations. The accommodations were wonderful and I loved the group dinners at the quaint, local restaurants! Collette tours did an excellent job of selecting an itinerary of places to visit that would give us that European experience. 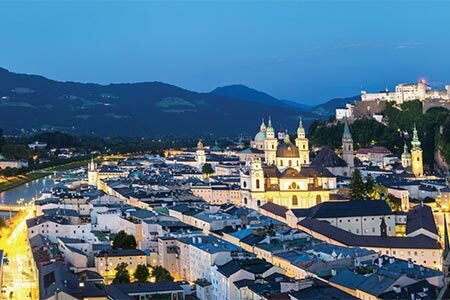 Our tour included Austria, Germany and Switzerland and we drove through beautiful countryside and experienced the culture of the bigger cities. We thoroughly enjoyed every minute of our Alpine tour! As usual, Collette provided a well planned tour that included all the highlights that the area had to offer! Great trip, well put together, looking forward to our next trip with Collette. Getting up, on our way to see the beautiful country, scenery, mountains and their heritage plus the churches and the friendly people who welcomed us. All 3 countries my favorite! I enjoyed all the countryside that we saw plus the restaurants and hotels that we stayed in. The only thing is that we had 44 people on our tour and that is too many for when we stop for potty breaks - spend too much waiting for everyone to get back on coach. Good itinerary, Alex was a good tour manager. He was very gentle and his knowledge on European history helped us understand the background of the place we visited. We loved to climb up on top of Eagle's Nest. Took train up to the top of Matterhorn area, never forgot the lively flower boxes Passion Play town Oberamergau and gondola and cable car rides to the top of Mount Pilateaus. We loved almost everything about this trip, especially the itinerary (so many beautiful sights that we'll never forget! ), the hotels, and our guide, Alexander. He was wonderful, very knowledgeable and helpful, and even occasionally funny, which made the tour even more fun. While the included meals weren't always the best (although breakfasts at the hotels were always excellent), they were satisfactory and more or less what could be expected from 'tour group meals'. The long bus rides between cities were made easier by well-planned rest stops at appropriate times. We had a great time! 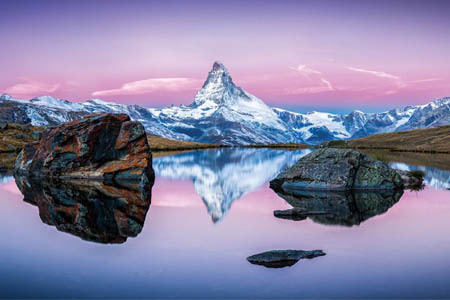 The Danube River boat ride and the trip in Zermatt up to Mount Gornergrat were two of our favorite trip events. Likely to use Collette again. Cover a lot of ground on the tours, sometimes wearing us out, but expose clients to sites we would never see otherwise. Like the fact that many meals are included, too. Manager was less dynamic than on our prior Collette tour, didn't seem quite as well organized. Optional excursions were somewhat disappointing for the expense, especially the Mozart dinner concert. Favorite experience was our free time in the beautiful city of Lucerne. This was my first experience with Collette tours and I will definitely consider traveling with them again. The itinerary was great-a nice balance of guided tours and free time as well as optional excursions. The accommodations were excellent, always comfortable and reflected the culture of the country we were in, not a "cookie cutter" hotel; our tour manager, Christine Henderson, was outstanding, her knowledge of the history, culture and geography of the countries we toured was comprehensive, her personal interaction with all the members of the tour was always friendly, courteous and professional. Overall, a wonderful experience. I loved the cultural experiences of Mozart concerts in Vienna and Salzburg as well as the magnificent scenery of driving through the Alps. Everything was perfect! Tour location, hotel and of course, very very knowledgeable tour director. It was a truly a vacation etched in my memory. Unforgettable sites! The tour was very comprehensive and the scenery was spectacular. The tour manager was very knowledgeable about the area having lived in Vienna. The bus driver did an excellent job considering it was his first trip to Switzerland. The hotels were quaint and pleasant except for the last one in Lucerne. It was extremely warm and Switzerland does not deal with this enough to have a/c. Needless to say, being on the 5th floor with no air and 90 degree temps was hard to handle at the end of the tour. The tour group consisted of 41 people of various ages, retirees and families with teenagers. Everyone got along very well. The tour would have been 5 stars except for the Lucerne hotel. The hotel n Zermatt at the base of the Matterhorn was wonderful and the extra tour to Mt. Pilatus was a fabulous experience. Thank you for traveling with Collette to the Alpine Countries. A member of the Guest Relations Team will be reaching out to you to discuss your feedback. One of the best tours we've been on. Our tour director, Toni Ray-Ingram was absolutely fantastic. She worked so hard so we could have the best experience possible. Her positive attitude and calm and efficient manner were amazing, especially in the face of a bus breakdown. The itinerary was superb. All the hotels were amazing, especially in Oberamergau and Zermatt. the view of the Matterhorn was a wonderful surprise. The option tours to Hitler's Eagle's Nest and the Mt. Pilatus ride were also wonderful. Yes, and I already have placed deposit on my next Collette trip. The tour guide and driver make the rating 5. The scenery was a given, very unique and special every day! The tour guide (Toni)and driver (Pero) make it a 5! Ideal trip great vistas. Tour guide and driver were excellent. Good lodging and food. The Alps must be seen also learning the cultures and history was very interesting. The Alps are a must see!! Everything was perfect! Karina was the best tour guide giving us so many helpful suggestions on optional things to do and experience. We could count on her for anything. The tour itself was fabulous with so many diverse experiences. Would recommend it to anyone. Everything was amazing, but the time spent in Zermatt was the best. Never have I seen such beautiful and breathtaking scenery. Grateful for an amazing tour! We saw much more with the Collette tour than we would ever have seen on our own. The tour leader (Karina) was excellent. Our whole group got along and was a lot of fun! Every stop was a wonderful adventure, guided by pros who really know their stuff! My favorite experience was going up Mt. Pilatus in Lucerne. I would recommend them and travel with them again. The itinerary was just what we were looking for and then some. Hotels were very nice. The tour manager was warm and wonderful. Very knowledgeable about history and the culture. My only complaint was lack of air conditioning in the hotels but I realize that is a cultural thing and beyond the control of Collette. Schedules went well, group size was good. ****** did a great job and was very knowledgeable. I would recommend Collette to others and would travel with them again. Had a great time, lovbed many things about the trip. Too rushed and hurried for my taste. I was disappointed in this trip compared to other trips with Collette. It was too rushed and too short stays in any one place. One day in Vienna is ridiculous and the same can be said for Salzburg. Some of the excursions and offerings were useless (stop at Melk Abbey.) the time on the Danube was nice but I would have preferred that time be in Salzburg. I personally can't stand when the tour guide gives her information on history, architecture, geology etc. by starting with asking you questions. This must be a taught instruction method, but it really turns me off, and is designed to make you feel stupid if you don't know all the answers and them a freaking genius for reading it off to you. Stop doing that. In addition, Collette owes us money for an excursion that didn't have enough sign up. I don't want a credit because I'm not sure we will travel with them again. The purchases, which I guess are the extra offerings were all good. but the best thing we did was the railway trip up to Gorner Grat which was not offered by Collette and without that why even go to Zermatt? Collette owes us money back because one tour be purchased did not have enough sign up. I do not want credit, as we are not sure we will take another Collette tour. Well organized....very good group dinners...hotels were very good and the tour director ***** was excellent. Trip was a great balance of Austria...southern Germany and Switzerland. So much to see...every day was a scenic adventure. The scenery...the hotels...the group dinners were all first class. Our tour manager was very organized and knowledgeable. Have to say Mt. Pilatus was the most dramatic. Liked this trip but wasn’t worth what we paid ! We really enjoyed the places we visited but thought more things needed to be explained better! Nice tour but not worth what we paid ! Trip was good overall with a good tour director. Nice pace and great scenery. 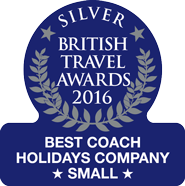 Disappointed in the coach used on tour as it was not up to standards of other companies we have toured with. I would still recommend them. Best stop would probably have to be Zermat as it is such an amazing place. Two night stays in places. The trip was well planned. Guide was knowledgeable, and helpful. It was a wonderful tour. Great hotels, good food, beautiful sights. I have been on tours with several other companies, and I feel this was the best. Our tour director was friendly and very organized. He was also very relaxed and flexible. The driver was excellent. We always felt very safe. I really loved the extra excursion to Bratislava. Hotel was in a great location and the visit to a Slovakian home was wonderful. As my father used to say "ÿou wouldnt be dead for quids!" As Collette is new to Australia, we had very little to go by and although we trusted our choice, had little feedback to go by - we were very pleasantly surprised by the service and ease of the process - mostly due to the great organisational abilities of *Personal details removed by Feefo* our wonderful tour guide. The tour was everything we hoped it would be, and the didn't miss out on anything. The extra experiences, such as the few hours on the Danube and the concert in Schonbrunn Palace, a spectacular venue. We spent hours each day on a freezing cold coach and not enough time was allocated to actually visiting sites of interest when we finally arrived at our destinations - it was more like a 'tick box' without any substance. The room we were given in the Vienna hotel was unacceptable but fortunately we were able to change it but the location of this hotel and also the one in Salzburg was poor - nowhere near the centre of things. The remainder of the hotels and locations were however good. The best part of the tour was our free time when we could properly explore places in detail. Sadly, our one resounding memory of this tour was of the hours spent on a freezing cold coach! We spent hours each day on a freezing cold coach and not enough time was allocated to actually visiting sites of interest when we finally arrived at our destinations - it was more like a 'tick box' without any substance. The room we were given in the Vienna hotel was unacceptable but fortunately we were able to change it but the location of this hotel and also the one in Salzburg was poor - nowhere near the centre of things. The remainder of the hotels and locations were however good. The best part of the tour was our free time when we could properly explore places in detail - a highlight being exploring the Matterhorn via the gondola rides (which our tour guide told us were not operating!!). Sadly, our one resounding memory of this tour was of the hours spent on a freezing cold coach! Thank you for sharing your feedback with us. We're sorry to hear about the temperature of the coach and hotel accommodations. We have passed your insight along to our product and tour manager team to review. We have also informed our customer care team and a representative will be reaching out to you as soon as possible. Your feedback is incredibly important to us as it helps us to improve our tours for future guests. We thank you for your business and look forward to traveling with you again soon. Don't trust Customer Service information; misleading and incorrect! Trip itinerary and hotel choices are very good. Collette's Customer service information was all wrong! I inquired tour details in Vienna, Austria but was given the wrong info. This has cost my group (15 passengers) 486 euro on a tour that we had to cancel due to misleading info given over the phone by Collette representative. I addressed this issue w/Tour Manager but have not heard an explanation from anyone at Collette! Zermatt was wonderful. all quaint villages were quite an experience. Excellent trip and Angelika was amazing. Having a local person as the Tour Manager is a must as they contribute so much more to the tour. The highlight for me was traveling through the Alps, especially going through the Girmsley Pass. Quite an experience. Our trip was a wonderful experience! Our trip was a wonderful experience! The Collette tour guide was fantastic!! She was very knowledgeable about everything we did and kept us informed about the history of the areas we went through. Our hotels and food were awesome! The excursions that were planned for the trip were exciting! We have already booked a trip with Collette for next year!! All of the things on the trip were exciting and memorable but I think being in Munich during Oktoberfest was the most memorable. I loved going to the music concert in Vienna as well. Oh, and the trip to the top of Mount Pilates was magical! Our tour guide was wonderful!! We would love to travel with Julie anytime! And our bus driver was wonderful as well! He maneuvered those curvy mountain roads like a champ! Amazing trip, amazing vacation!Hotels were great, itinerary was awesome! Lisa Elliott who does our booking is fantastic and gives amazing customer service..!Hs the answers to all our questions and plans everything so well! Our guide Toni Ray was second to none.She made our vacation special, she is a walking encyclopedia and has so much great knowledge to share. No task is ever too big for her, for her group. She really takes care of her passengers. It was an amazing tour!Zermatt was beautiful, Toni our guide gave us amazing information on all the history of all the places we went to! 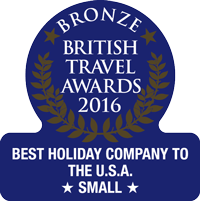 Excellent value by an excellent tour company! It started with great customer service from Lisa to the most amazing tour director Toni! Our tour director, Toni, went out of her way to make this trip memorable. She also found me a doctor to ease my cold symptoms. Definitely would recommend and go Collette again! Excellent planning and carry through. Tour guide, Toni was great, knowledgeable, friendly, engaging, and fun! Zermatt Switzerland... quaint, spectacular vistas! I didn't' rate Colette 3 stars. This is inaccurate. My rating was 5 stars. Highly professional. Great attention to detail. Very knowledgeable tour guide. Overall, just a great trip. Absolutely charming tour with fabulous places to see. Professional. Everything about the trip was wonderful. The tour guide, Toni, did a fantastic job at educating us on all of the places we went and went the extra mile to make sure everyone was safe and happy. The small villages on the Alpine tour were fabulou, quaint and charming. The transportation was well thought out without too much travel in one day. So many beautiful places on the schedule. It was fun to go to the places that didn't seem too touristy. Almost all of the hotels were wonderful. (Lucerne, not so much) Am already to go on another tour with this company. Oberammergau, Titisee, Alex hotel, Neuschwanstein castle..... love the quaint villages as well as charming Vienna, Salzburg, Lucerne and Munich. Places where we stayed were just right I wouldn't have wanted to stay in Munich, but enjoyed visiting. The mechanics of it all was perfect. The restaurants with big tables were great for getting to know tour members. Rotating seating was nice too. Toni? What can you say about her? She did an amazing job, like a walking google search engine. She really made sure everyone was comfortable and cared for. The only thing I really didn't like was the hotel in Lucerne. It smelled pretty bad and the rooms were so plain. The location was nice though. It was hard going from Alex hotel in Zermatt to the Lucerne hotel. My air conditioning didn't work at all and neither did the tv. I was already having a hard time because my friends 18 yr. old son died while I was on the trip and having a room with issues was frustrating. Hotel Alex was amazing, thank you so much for having us stay there. It was so special for my son and I. Wonderful trip. Covered a lot of territory in a short period of time. Excellent guide! Nice accommodations. I enjoyed Zermatt the most, but Luzern was wonderful too. Lots of miles traveled in a short period of time. Alpine Countries tour exceeded our expectations! We loved every minute of our tour of the Alpine Countries! The itinerary was a great mix of lovely cities and countryside. Our tour guide was amazing! He was both very knowledgeable and entertaining. We were also very fortunate to have great weather and a fun group of tour buddies. Switzerland was our favorite with so many incredible lakes and mountains!! Will definitely consider Collette for our next tour. Mt. Pilates in Lucerne was a fabulous experience and a must do optional excursion! Most incredible views ever!! Fantastic trip. Can't wait for our next Collette tour. As in the past, once again we found everything just perfect. Our tour guide was wonderfully knowledgeable, funny, and caring. Our coach driver was so good too. being hot in the rear of the bus was ignored by the tour director. We enjoyed the tour and the tour manager was very knowledgeable. He was a great guide for this trip with one exception. People in the back of the bus complained about it being hot or uncomfortably warm with little or no action on his part to correct the matter. The hot temperature in the rear of the bus really put a damper on a nice trip. With all the complaints from the rear of the bus, he should have sat in the back for 1/2 of a day so he would understand what we were complaining about instead of allowing it to linger. Rooms were not located where advertised, not in the center of the city but isolated. These were last minute changes and we should have canceled based on the changes. My experience has always been easy. The process is always simple I use a travel agent and she does all of the communication with Collette. I have been to the area several times. We did see some beautiful country. I especially loved Switzerland. The day we went to Munich was too much time in the motor coach. This was the most uncomfortable coach I have ever been in. It was always freezing cold and you could not see around the seats. The rest room had no lights and was very unsafe. The driver was only friendly when tip time was getting near. We would have loved more time at Lake Tittisee. Great Tour - well planned and very informative and enjoyable. There was a lot of walking. We could not have asked for a more informed guide and a great bus driver. Our guide went out of her way to make sure everything was okay; even going to the airport at 10:30 PM with me to look for our lost luggage in Vienna. We would definitely use Collette again. The trip was very good from the time we were picked up at our home to go to the airport until the time we were dropped back off at home from the airport at the end of our trip. All the tours were very good but my favorite was the "Eagle's Nest". It was a great experience! This was our second trip with Collette and they did not let us down. It was a Great Trip. This was a great tour and our guide was well informed and very pleasant. Everything was well planned and our guide worked well with our bus driver, who was also great,. We would definitely use Collette again! The whole tour was a great experience but my favorite place was Innsbruck, Austria. I loved the tour and several people have asked me my favorite place - I could not name my favorite because each one had a personality all of its own. It was a wonderful trip so that is my memorable experience - the overall tour. We have never been sorry for choosing Collette and recommend it to our friends. We have traveled Collette a number of times and will most likely continue should we plan other tours.The tour guides are very instructive about the areas for which they are responsible and extremely friendly and helpful. It is impossible to review all the "likes" of the Alpine tour, for there are so many. A few of the "concerns" could be the number of bathroom breaks during long bus rides, the many tips recommended for local guides, the distance between rooms and restaurant ( one half mile) in one part of the Germany excursion and some of the few choices of meals at some locations. I purchased the tour through Marriott Vacation Club...the whole process was very easy. Our tour guide was amazing. She made sure every detail was taken care of so we didn't have to worry about a thing. This was my fourth Collette tour and, as always, a great trip! The tour guide, The tour manager, was fun, organized, always smiling and most helpful. Kermit was breathtaking. tour manager very knowledgeable and very helpful during our entire trip. The only issue we had was we had a couple of unseasonably hot days in the black forest area and the hotel had no fans or air conditioning. This could be an issue for some tourists especially those with respiratory issues. Other than that the trip was wonderful. the tour was a wonderful experience especially to an area we have never been to before. Tour manager was very patient and helpful during our trip. We loves Saltzburg, lucerne and Zermatt. We did not interact with Collect US. 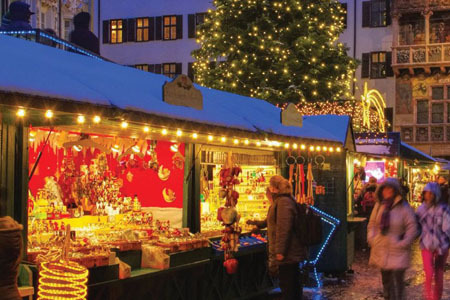 All details were handled by our travel agent Kathy Hannon with AMEX. Our Tour guide went above and beyond the measure of "guide". She worked the issues and was very informative and careful of the details. What an exceptional employee. My Collette Vacation to Austria, Germany, and Switzerland. 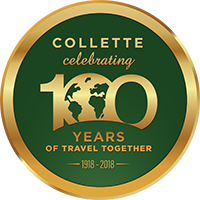 Collette offers affordable travel and good value. The tour description in the catalog was very accurate. The fact that you get private limo service to and from the airport if you purchase your air and land from Collette is a big plus. Optional excursions are appropriately priced. I've traveled exclusively with Collette the past few years and would recommend the company to anyone. One problem arose with the transportation from Vienna to the hotel. I was assigned a specific time for this service. Unfortunately, my plane was late and my luggage was lost. By the time I got to the meeting point, the time for my pickup had passed. When the limo in Vienna was contacted, I was told, "Too bad. We were here and you weren't. You have to take a cab at your own expense." I know that Collette offers at least 2 or 3 airport pickup times. Had alternate times been given in my itinerary, I would have waited for the next limo. Please give all pickup times from the airport to the hotel. On a previous trip to Vienna with Collette, we stayed at The Hilton. It was far superior to the hotel we stayed at this time. The remainder of the hotels were fine. Problems with transportation to first hotel from airport. The trip was wonderful, and our tour guide was exceptional. She reimbursed me in cash, for the snafau with the taxi I had to pay for after the limo was missed. She was very upbeat and took any problems encountered with grace and a smile. Her attitude was, "Nothing is a problem unless you make it a problem." A tour guide can make or break a trip regardless of the itinerary, and ours was outstanding. Switzerland was the most memorable, but probably because that part of the trip was my first time to Switzerland. We had a wonderful tour manager who kept us well informed and happy. Saw so many historic places and had a wonderful time. Everything taken care of for us makes it easy to travel. Traveling to Zermatt was an unforgettable experience. Once in a lifetime experience. The local travel agent who took my order as well as Collette staff at headquarters were very helpful. The tour director was very knowlegeable, intereating, and helpful. The staffs at local hotels could have been more helpful in some locations. Suggest that hotel staff put suitcases in your room on top of dresk or luggage rack - not just on floor. Interesting stops and views. Would have preferred more time in Switzerland, none in Munich. Hotels were OK - most bathrooms were dangerous with very high entrances to showers/tubs and no grab bars. Beds did not have option for lighter blankets nor extra pillows. However I did ask at one hotel for extra pillow as I had fallen and needed it for comfort & they provided it. Zermatt, Switzerland was my favorite place - hope to return some day to spend more time and hike. Our trip was marvelous. We told Christine the tour manager about what we most wanted to see and do. She fulfilled all of the items on the list. I wanted to see the cow with the big bell. I got to see it. I wanted to see Matterhorn. I got to see the mountain so clearly. 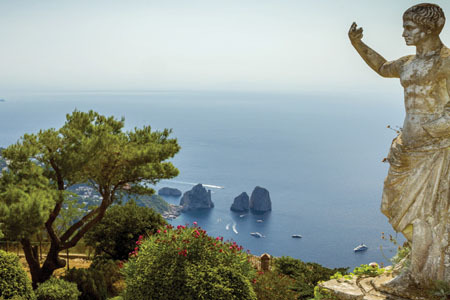 Travel through the enchanting Alpine villages of Switzerland and Italy. 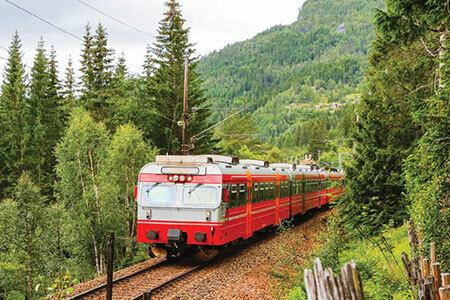 Along the way, take in mountain scenery aboard Europe's legendary railways. *SAVE 10% off the land portion of your booking on selected Australia and New Zealand tours and departures. Offer applicable for NEW bookings made between 22 - 28 April 2019 on selected tours departing 22 April 2019 - 30 April 2020. Offers are not valid on group or existing bookings, and not combinable with any other offer. Other restrictions may apply. Offer may be withdrawn at any time. Call or go online for further details. 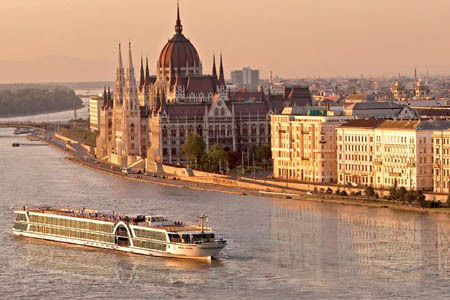 *Danube River Cruise is available mid-April to mid-October. Please note that single accommodations are limited and are available on a first come, first served basis. Triples are not available. Due to tour scheduling, flights should arrive prior to 4 p.m.
Our air passengers will depart from the Zurich, Switzerland airport. All transfers will depart Lucerne for Zurich. Return flights should not be booked prior to 10:00 a.m.
**Due to unforeseen schedule changes, witnessing the performance of the Glockenspiel might not be possible.